Authorize.Net is a popular payment gateway that allows your supporters all over the world to donate to your cause. 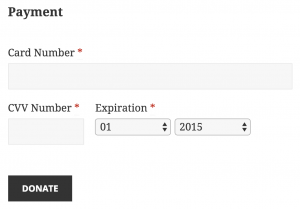 Donors fill out their credit card details on your website for a seamless donation experience. To use the extension, you will need an Authorize.Net account and an SSL certificate. Note that you can only set up an Authorize.Net account if your organisation is based in the United States, Canada, United Kingdom, Europe or Australia.